A wide range of groups, activists, academics and politicians have written to the city’s mayor asking him to resist efforts by pro-Zionist groups to have this year’s Al-Quds Day march banned or curtailed. 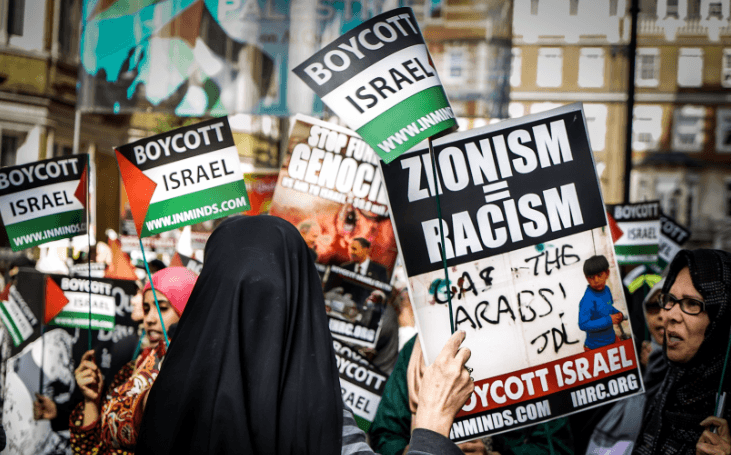 The campaign from the ‘North London Friends of Israel’ and ‘We Believe in Israel’, seeks to demonise the annual demonstration and calls for action to be taken against it on the spurious grounds that it is anti-semitic. One of the key arguments made in a letter sent out to the media is that Hizbullah flags have been carried at the demonstration and that this is both a criminal offence and representative of antisemitism. In the counter letter sent to Sadiq Khan by the diverse range of pro-Palestine individual and groups, the mayor of London Sadiq Khan is reminded that Hizbullah’s political wing is not proscribed under British law, an interpretation which has been repeatedly confirmed by the Crown Prosecution Service, and the Metropolitan Police. Al-Quds Day was inaugurated in 1979 by Ayatollah Khomeini, who asked for the last Friday in the Islamic holy month of Ramadan to be set aside by Muslims as a day for uniting against Israel and showing support for the dispossessed and oppressed Palestinians. Since then it has snowballed into a general show of solidarity drawing in people of all faiths and political persuasions. The annual rally has run as a peaceful family friendly event in London for a number of years. The procession is always a diverse inclusive group, made up of Muslims, Jews, Christians, people of various faiths and none, from a wide range of ethnicities and walks of life. This year’s demonstration, scheduled to take place on 18 June, will again see participants marching through the busy streets of central London to Grosvenor Square, home to the US embassy. The embassy has been selected as a rallying point because of Washington’s unyielding support of Israel. The US continues to underwrite the Zionist regime financially, militarily and politically and block all attempts at finding a just solution to the Palestinian issue. The scale of US support is unlike any given by any country to another nation. Since 1948, the US has used its UN Security Council veto at least 40 times to block condemnation of Israel. Every day Israel receives $8.5m in military aid from its patron and in total each US citizen subsidises every single Israeli citizen to the tune of $500 per day.